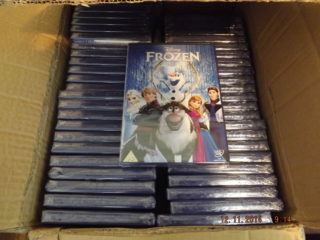 Counterfeit DVDs worth £16,000 have been seized by police in Inverness. The intelligence-led operation with officers from the community investigation unit of Police Scotland’s Highland and Islands Division seized over 800 fake copyright DVDs from an Inverness address. Police worked closely with Highland Council Trading Standards officers and investigators from FACT (Federation Against Copyright Theft) for the successful outcome. Detective Inspector Brian Mackay, said: “A seizure of copyright material on this scale has effectively eliminated around £16,000 of potential criminal gains. Working closely with Highland Council Trading Standards and FACT has enabled officers to pinpoint the source of the illegal activity and ensure those responsible face the consequences of their actions, protecting legitimate businesses and consumers as a result. 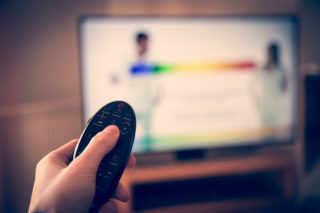 Gordon Robb, Trading Standards Manager at Highland Council, said: “Buying and selling fake goods and other forms of intellectual property theft undermines legitimate businesses at a local, national and international level, often leaving consumers feeling cheated and disappointed. Trading Standards will act to combat counterfeiting and to disrupt the activities of those involved. Three men have been jailed for 10 years and seven months for selling fake DVDs following a successful investigation by Suffolk Trading Standards and FACT. Gavin Gray, 25, was sentenced after pleading guilty to four charges of fraud and offences under the Copyright Designs Patents Act 1988. A local Post Office manager has been jailed for 25 months after being convicted of selling over 7,000 counterfeit DVDs at the Inner London Crown Court. 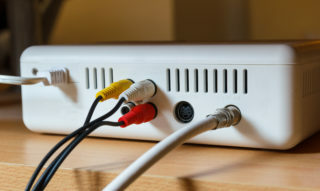 Officers from FACT and Police Scotland executed two search warrants at addresses in Glasgow as part of an ongoing investigation into the sale of illegal TV boxes to hundreds of licensed premises.